BRYAN EATON/Staff photo. 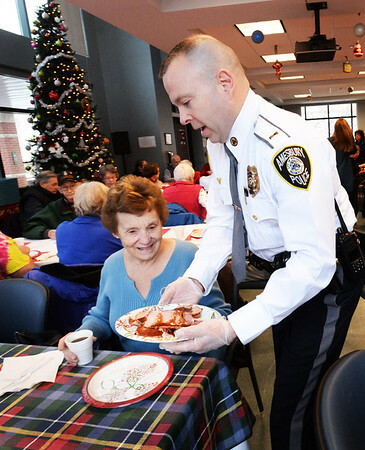 Paolina Naples smiles as Amesbury Police Lt. Criag Bailey delivers glazed ham to her table followed by diffents kinds of quiche and fresh fruit. They were at the Amesbury Senior Center for Breakfast With Chiefs where there was a visit by Santa Claus in addition to gifts and the free meal.